What better way to celebrate the joy of the season than as a member of a sing-along choir under the direction of the Valley’s most venerated conductor, Maestro Lynn Sjolund. 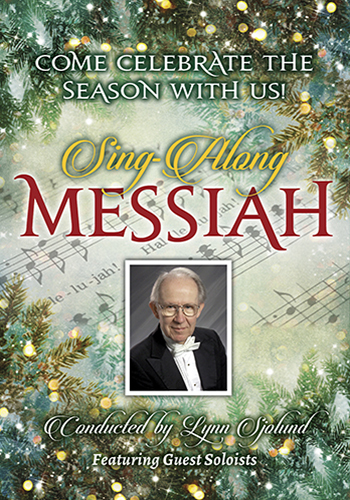 Nothing stirs the soul more than Handel’s Messiah, here performed by accomplished local singers and musicians on stage, visiting guest artists, and an auditorium full of community members just like you. If you didn’t know better, you might think you’ve died and gone to heaven when everyone rises to their feet for the “Hallelujah Chorus.” Indeed, goosebumps are guaranteed and on the house. Merry Christmas!